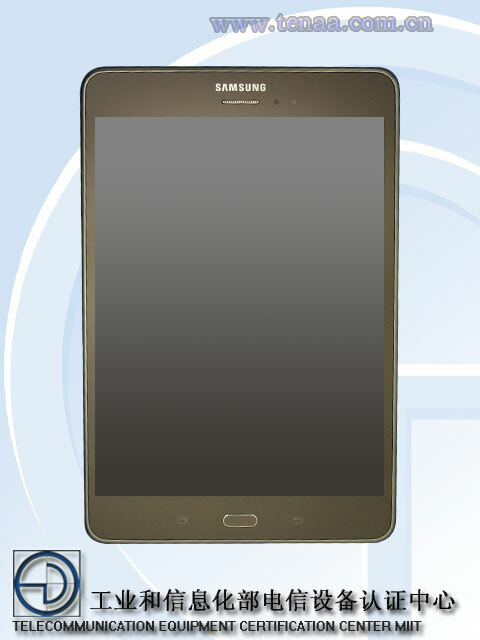 The Upcoming Samsung Galaxy Tab 5 has been leaked on a Chinese website, This means the line-up is coming very soon from the Korean giant. 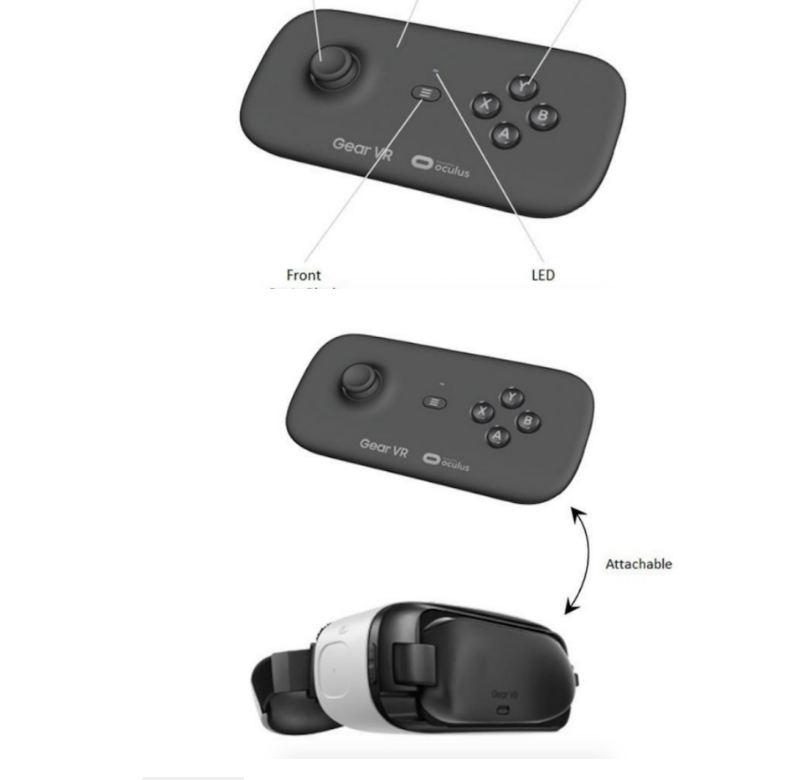 According to the enclosed specifications, the pair of devices will come equipped with an 8.0-inch screen with a resolution of 1024 x 768 pixels. 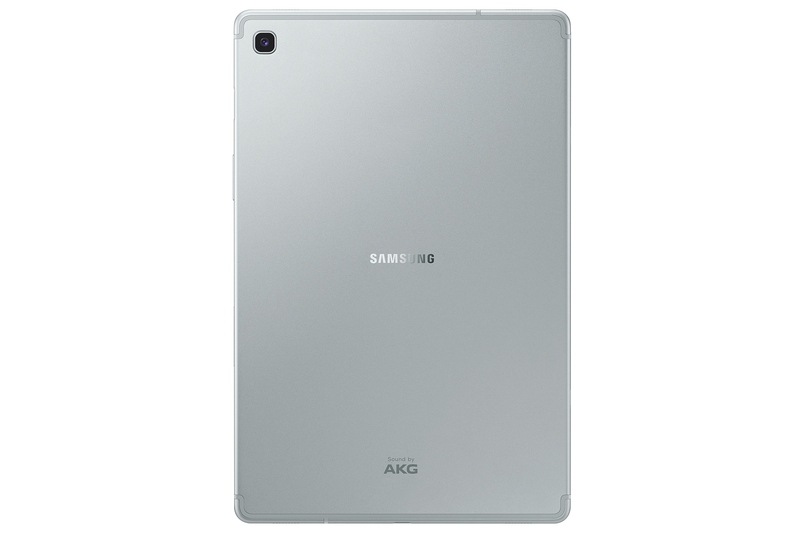 Both will also feature quad-core CPUs, clocked at 1.2 GHz, 2GB of RAM and 16GB of onboard storage. 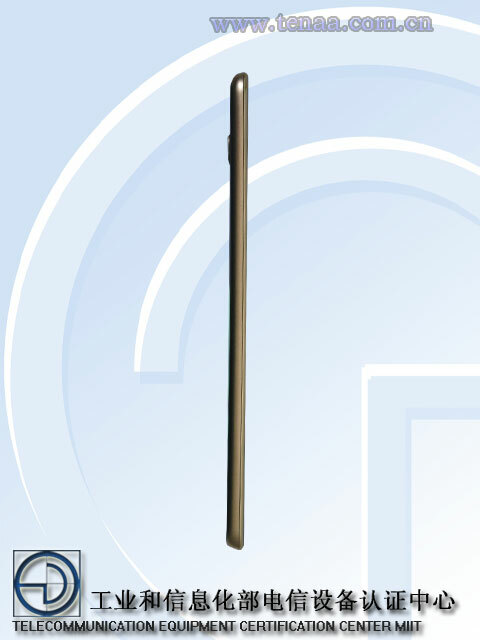 In terms of dimensions, the Tab 5 will be thinner than the previous Galaxy Tab 4, but perhaps, a little shorter and wider. The certification pages for both models seem to show little difference between then, so at this point, we can't really be sure what their main distinction will be. The SM-P355C is listed as being a little heavier and only with white color as an option, although its picture clearly shows a different pallet. The camera setup on the P variant is also described in more detail. 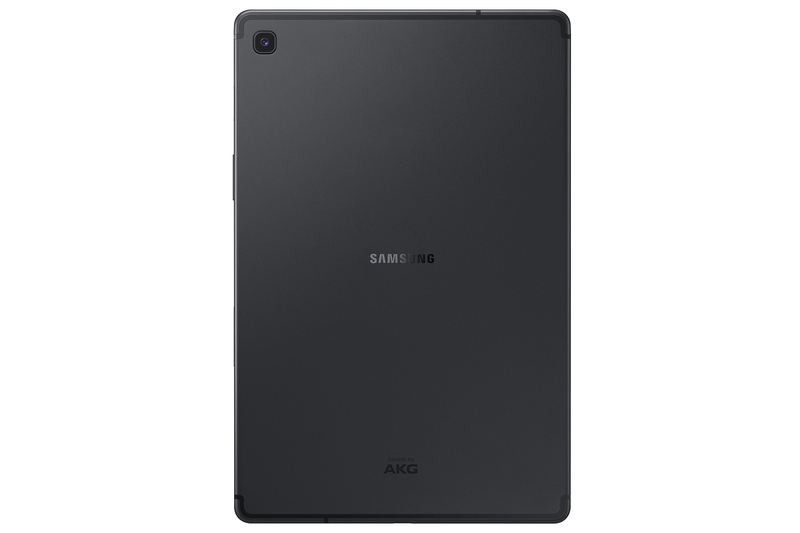 The tablet should come with a 5MP main shooter and a 2MP front one. 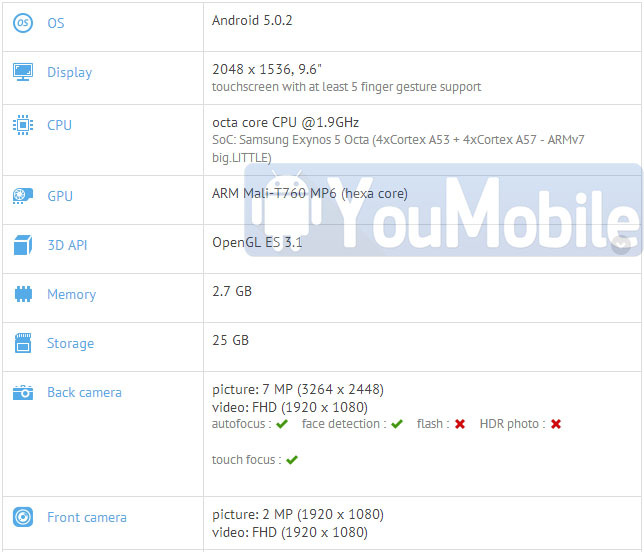 Judging from the photos, the SM-T355C will also come with two cameras, most probably the same. 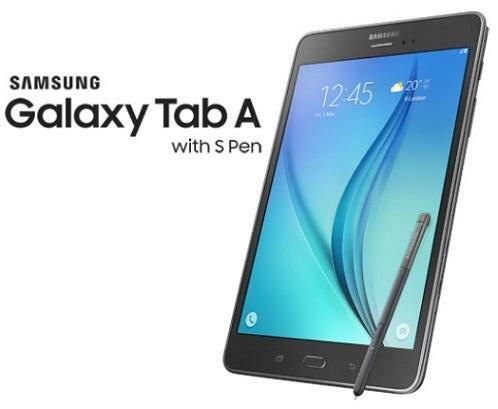 Undoubtedly, both models will run Android Lollipop out of the box and if rumors are to be belied, will also come with a stylus, better known as S Pen, just like Samsung's Note series. 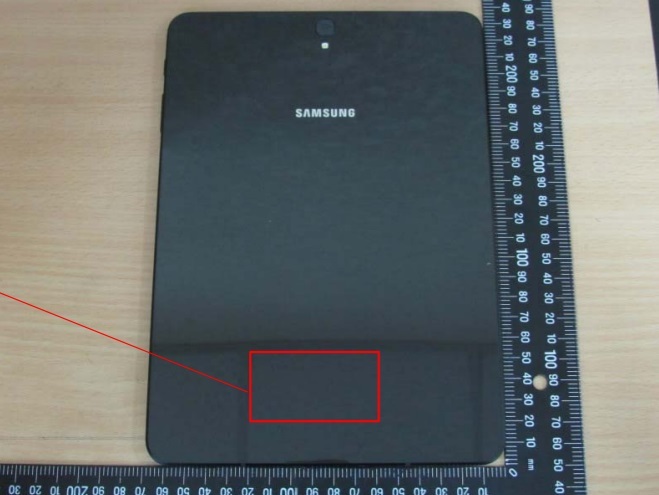 It will, allegedly, reside in a slot neat the upper right corner of the Galaxy Tab 5. 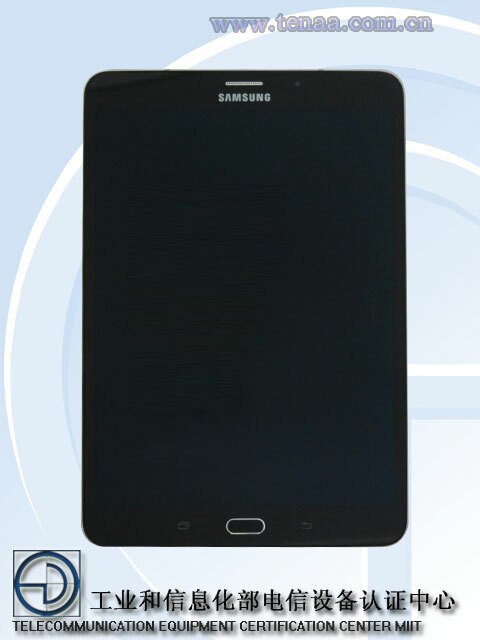 Today, the unannounced Samsung Galaxy Tab S2 8.0 made its way through TENAA in China. 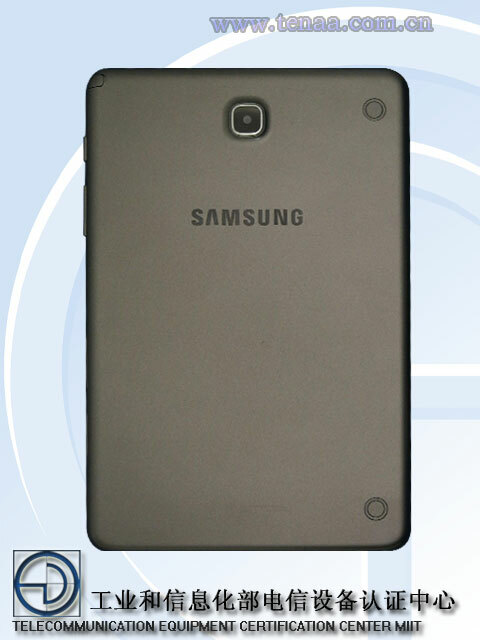 The successor of Galaxy Tab S 8.4 sports the model number SM-T715. 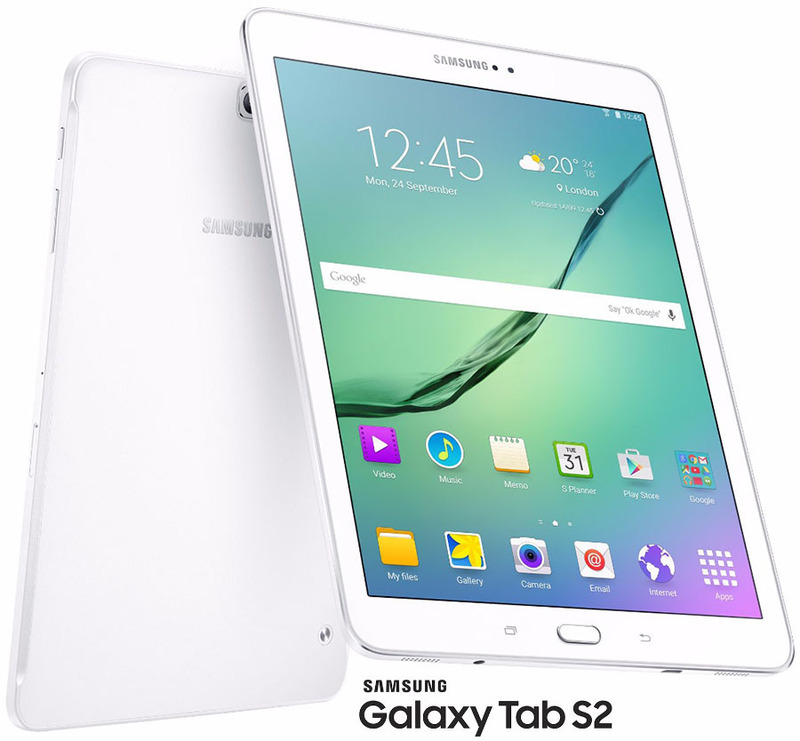 Specs-wise, the Tab S2 features a 1.9GHz octa-core CPU (the chipset is likely to be an Exynos 7420), 3GB of RAM, and 16GB of expandable memory. 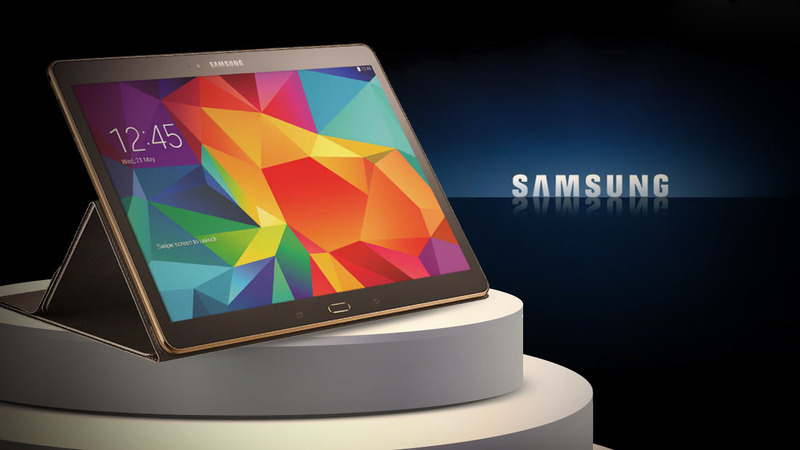 The display is an 8" AMOLED unit with 4:3 ratio and 2048 x 1536 pixels. 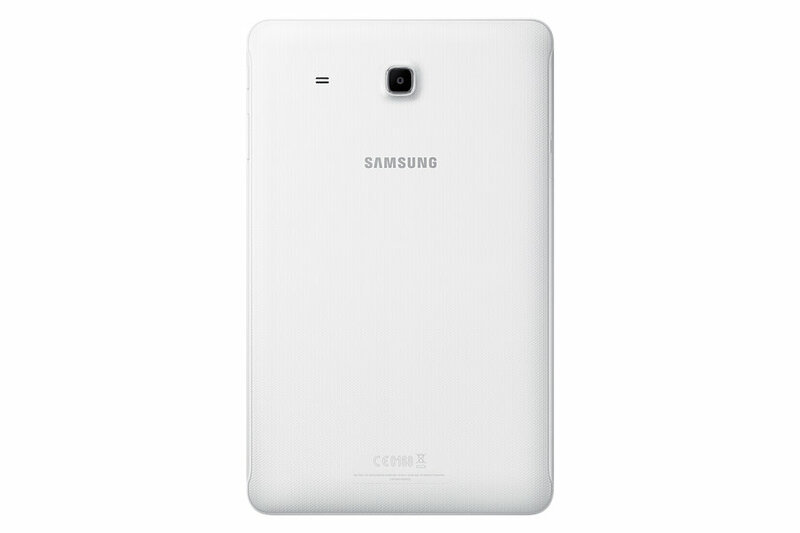 An 8MP main camera, 2MP front-facing unit, and optional LTE connectivity are also on board. 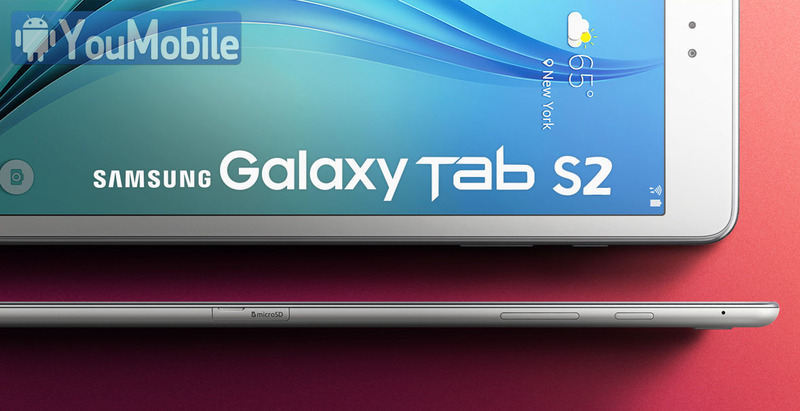 With measures of 198.2 x 134.5 x 5.4mm, Samsung Galaxy Tab S2 8.0 could become the thinnest tablet in its segment. The device weighs 260 grams. 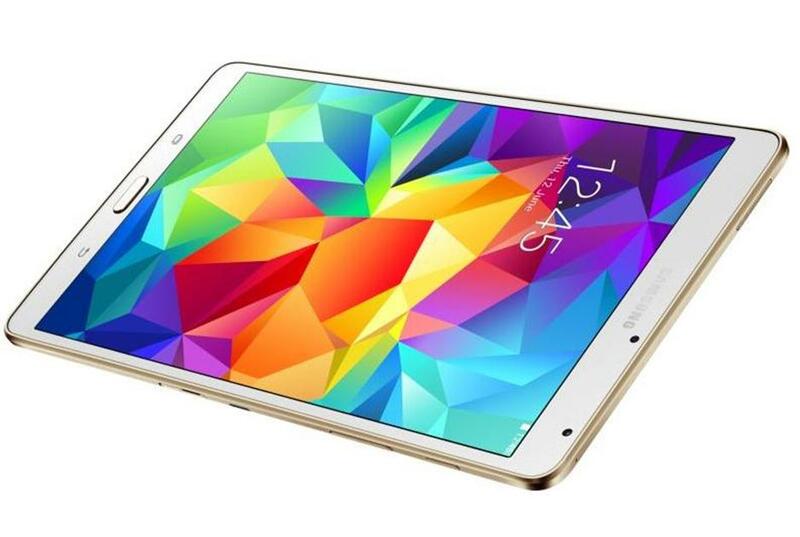 The Samsung Galaxy Tab S2 should arrive in 2 variants 8.0" and 9.7" later this quarter. 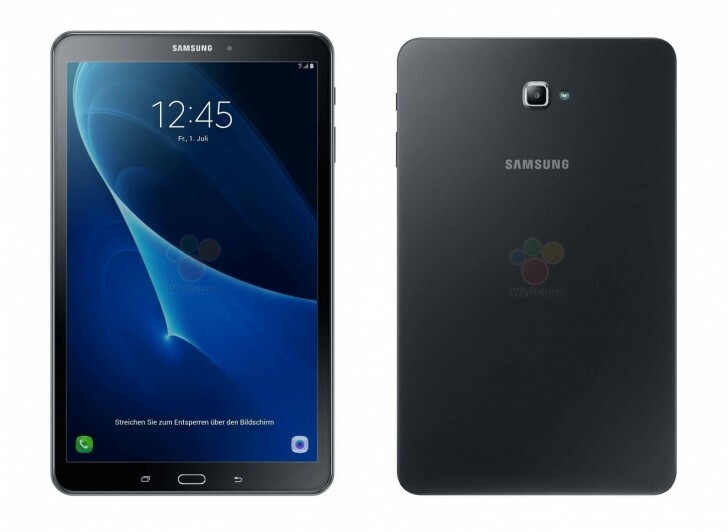 We know that the Galaxy Tab S3 is probably going to be unveiled at the Mobile World Congress next month and now we have an idea about its specifications from a reliable source. 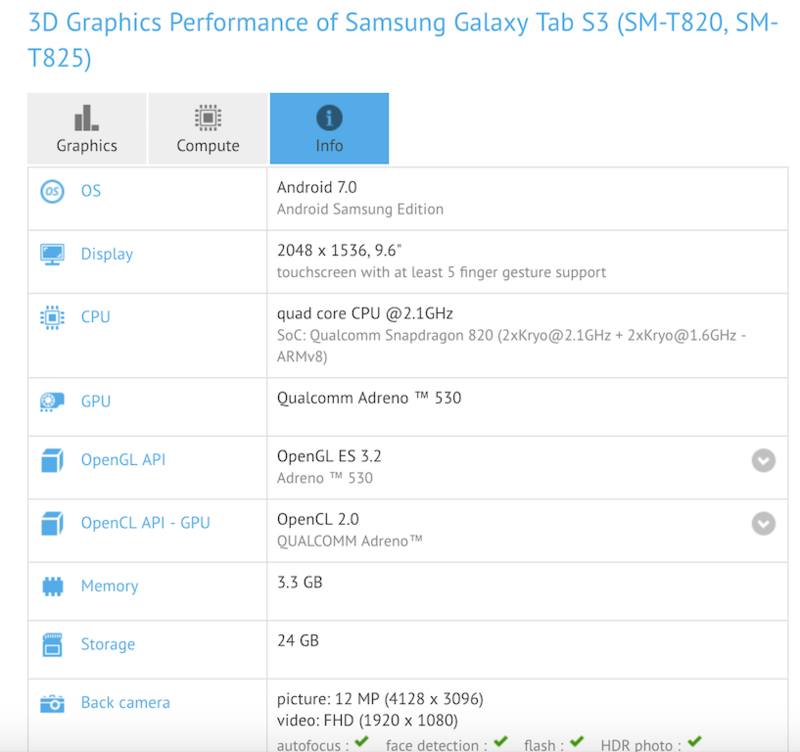 GFXBench has given us info on unreleased handsets and tablets before and they have mostly been true. 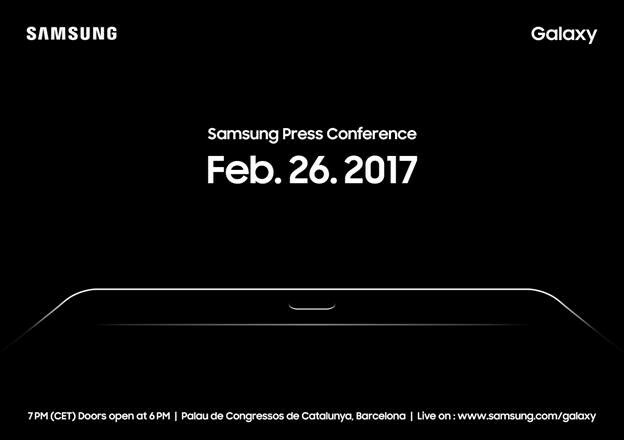 Going by that standard, what you see below is possibly going to be the specs that the Tab S3 will be sporting in Barcelona at the MWC 2017. 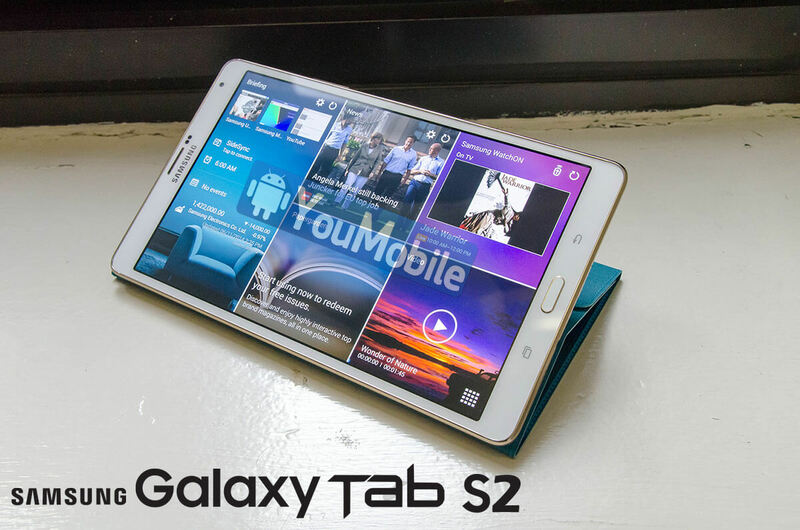 Samsung, along with the rest of the OEMs have clearly minimized the number of tablets which they release now, so it can be arguably assumed that they hav no plans to release a smaller version of the Tab S3 next month like it did with the Tab S2 in certain regions. This strategy may change in the future though. 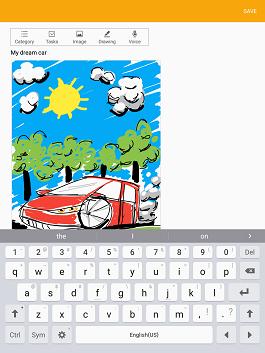 Check out the screenshot below to get detailed information on what was revealed. 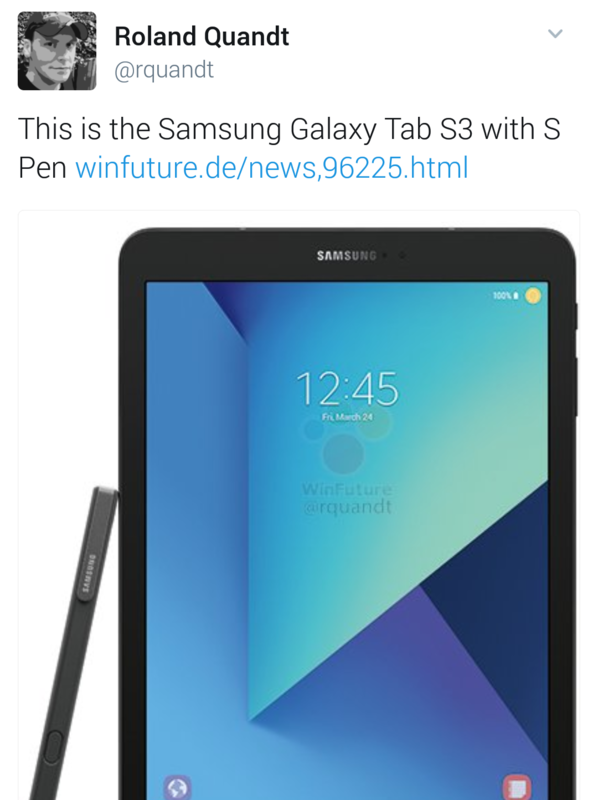 Feast your eyes on the upcoming Galaxy Tab S3, as posted by Roland Quandt also known on Twitter as @rquandt. 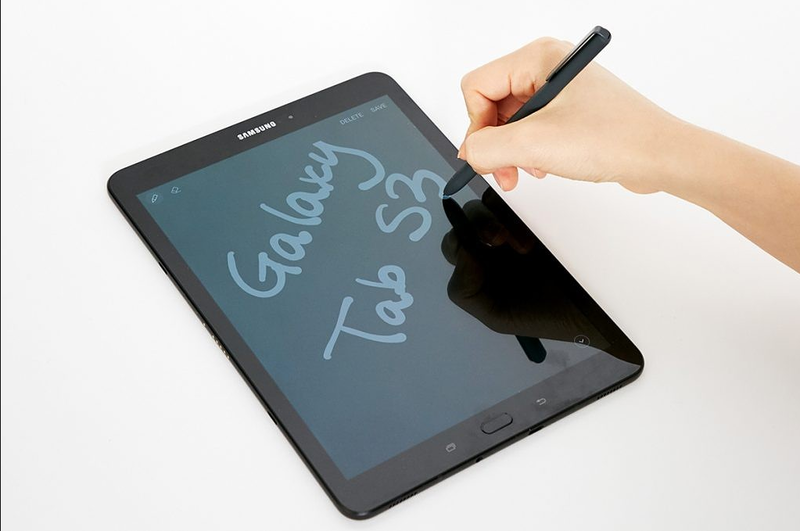 If this picture is showing the real deal, then the Tab S3 will indeed be supporting an S-Pen this year. 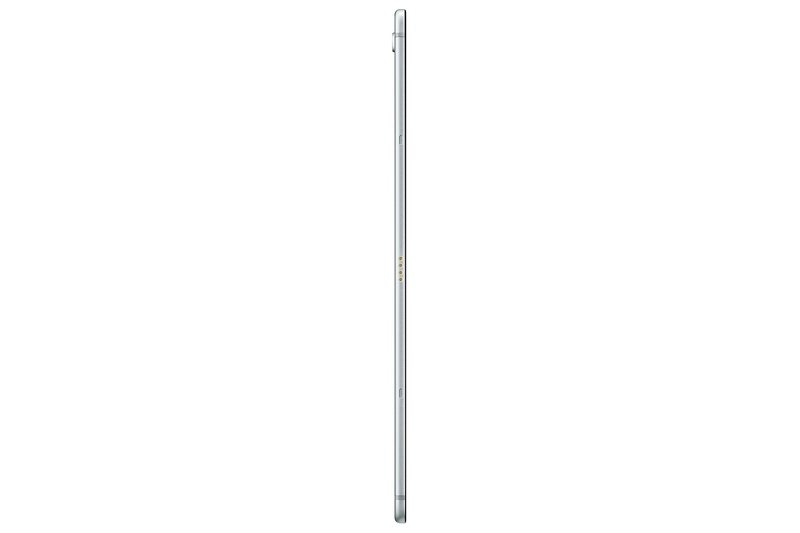 In fact, the leak also assures that the stylus will be bundled in the package instead of being sold as an accessory. 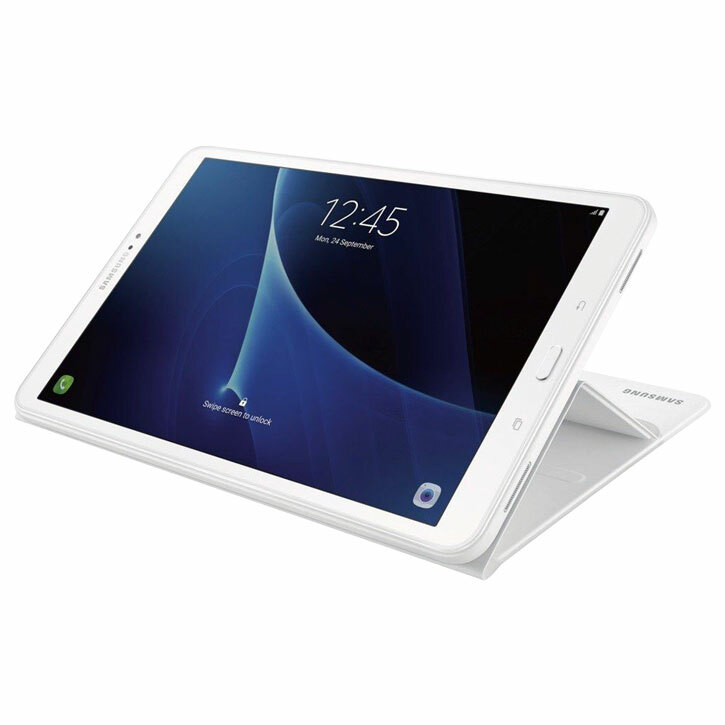 In case you have not checked out the other leaked specifications of the Galaxy Tab S3 yet, do so now. To take a closer look at what the GFXBench leak revealed about three weeks ago, click here. 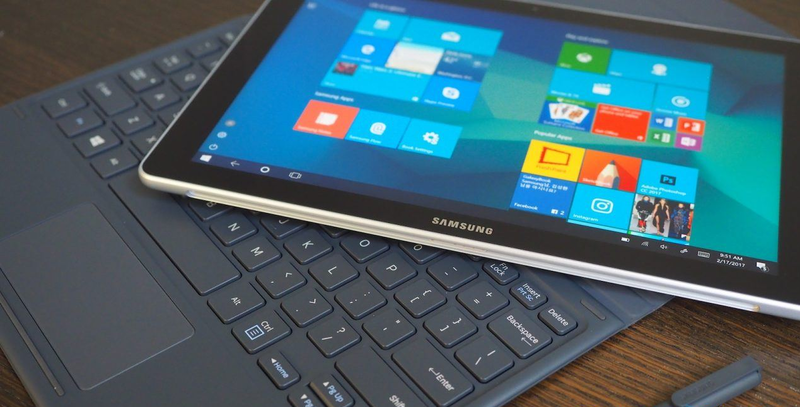 It looks like after quite a long time, Samsung is finally going to release a tablet that might actually be worth buying. 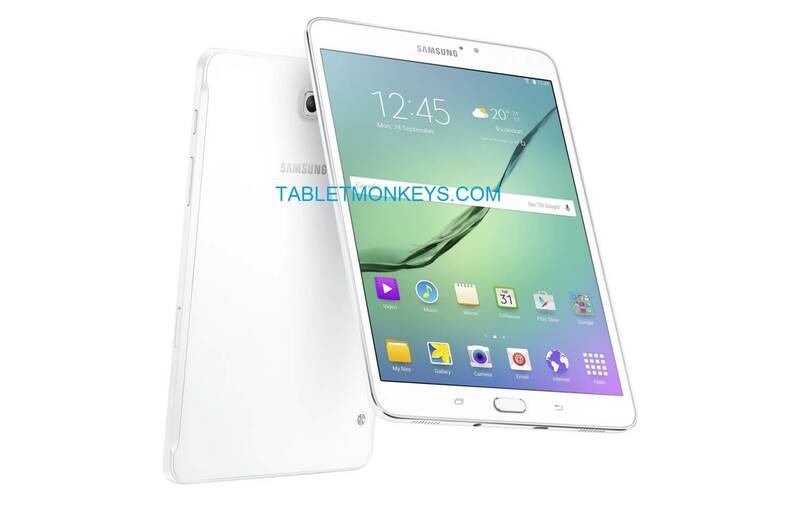 Wi-Fi Alliance has long been the site where upcoming phones and tablets have been leaked at during the certification process and this time, it was time for the upcoming Galaxy Tab S4 to make an appearance on the site for its Wi-Fi certification. 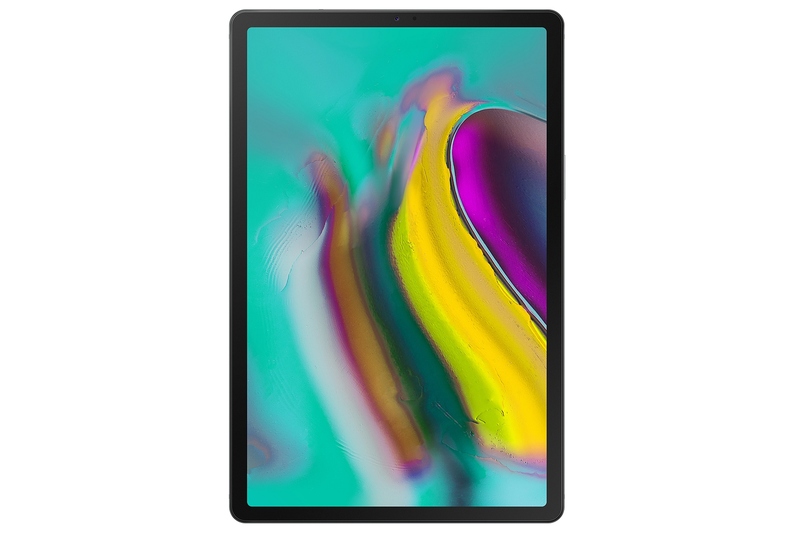 Granted that this isn't much of a leak since we already knew that the Tab S4 is coming, but its appearance on the site suggests that the tablet might not be as far away from release as was rumored previously. 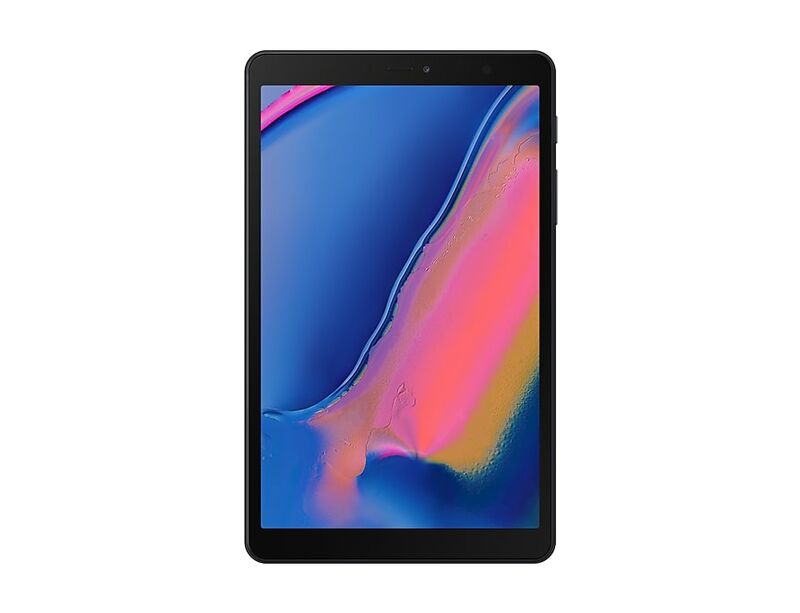 The tablet seen on the site is indeed the Tab S4 with model number SM-T835 and possibly a 10.5-inch QHD display at 16:10 ratio. 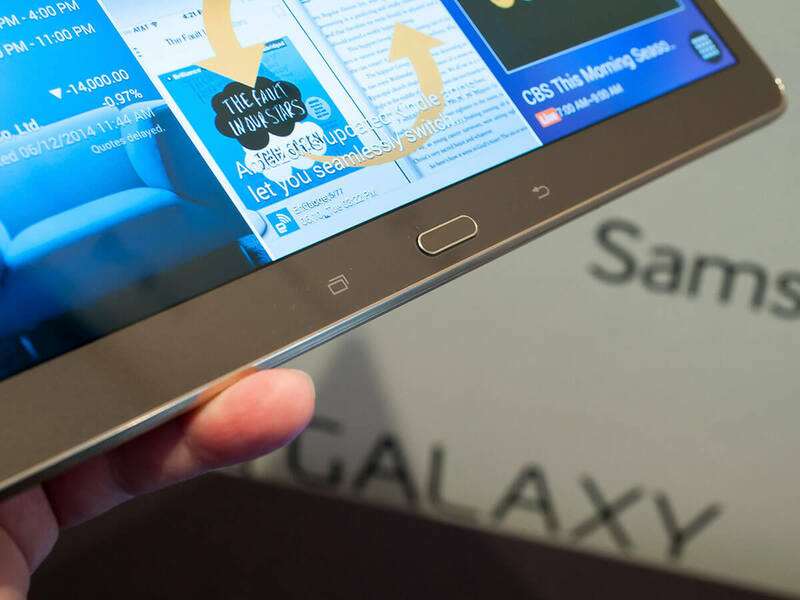 Unfortunately, just like all previous tablets by Samsung, it will be powered by an outdated flagship chip, the Qualcomm Snapdragon 835. There will also be 4 GB of RAM onboard, backed by 64GB internal storage and a possible expansion slot for a micro-SD card. 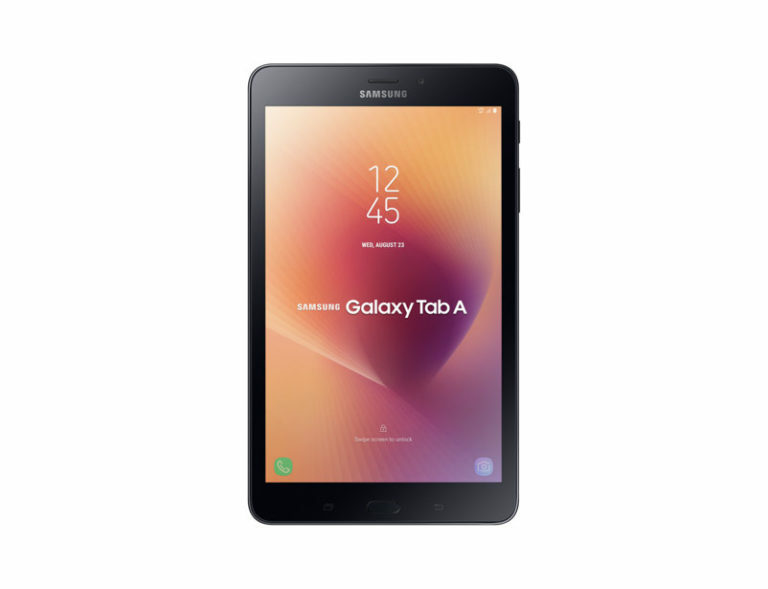 SamMobile suggests that the Galaxy Tab S4 could be making an appearance at the IFA in August - September 2018. 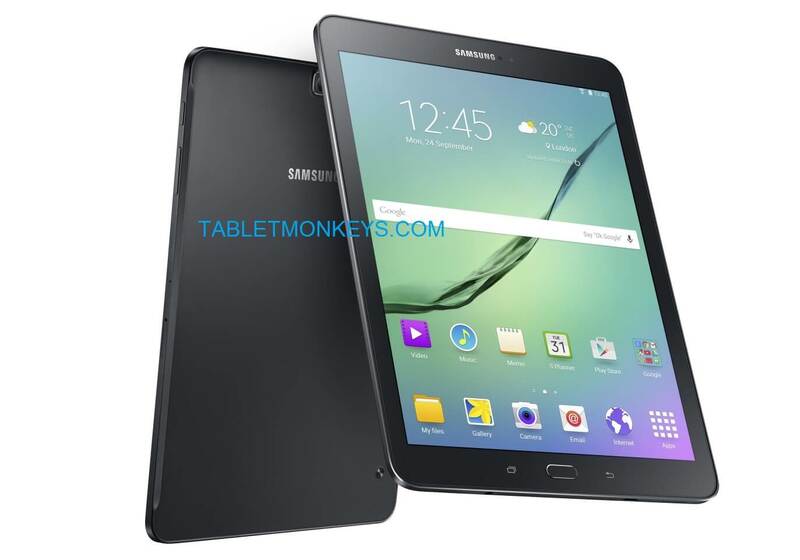 Tags: [firmware download] galaxy tab active (wifi) (sm-t360) 5.1.1 update samsung galaxy tab 10.1 2016: leaked specifications official renders galaxy tab makes appearance zauba while route india samsung galaxy tab 10.1 getting 2015 edition with 64-bit cpu specs samsung galaxy tab with 9.7-inch display specifications leaked samsung galaxy tab 10.1 coming with new 64-bit chipset [specifications] samsung galaxy tab details leaked exclusive first live photo samsung galaxy tab 9.7 appeared bluetooth certification samsung galaxy tab 9.7-inch 5.5 thick only [photos] samsung galaxy tab 8.0 leaked tenaa china photo first samsung galaxy tab press images leaked official specifications photos thinnest lightest samsung galaxy tab 8.0 9.7 now samsung galaxy tab available pre-order europe €399 samsung galaxy tab spotted gfxbench press invitations samsung mwc 2017 tease galaxy tab here’s samsung galaxy tab s3: complete with s-pen gear with controller exynos 9810 metal-glass build tab galaxy tab launched along with book windows tablets galaxy tab starts being launched other countries beginning with russia galaxy tab gets its first official update india gets new affordable tablet: galaxy tab (2017) galaxy tab 2016 becomes first samsung device get january patch galaxy tab active most rugged android tablet can buy galaxy tab makes appearance wi-fi alliance new tablet unveiled samsung unexpectedly: galaxy tab s5e galaxy tab what think samsung’s new tablet? 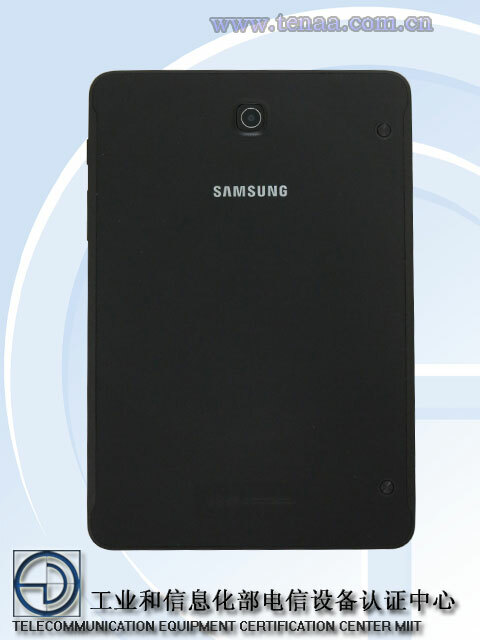 Note: This is the LTE version of Galaxy Tab Active. 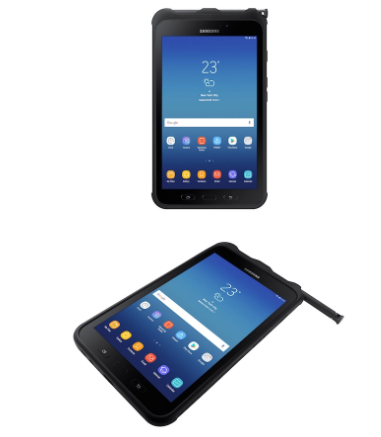 The Galaxy Tab Active is a ruggedized tablet that is built enterprise-ready, productivity-ready and solutions-ready to meet the everyday demands and security needs of business users. 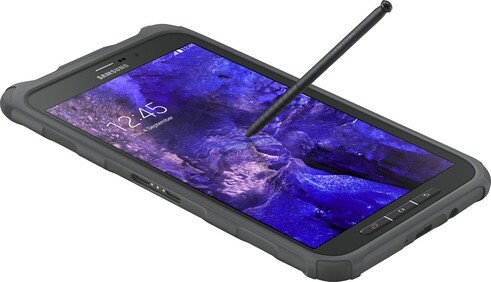 It is especially effective for use in rough workplaces that involve proximate outdoor use thanks to a bundled protective case, water/dust resistance, an 8" daylight-readable LCD screen and long battery life with a user-replaceable battery. 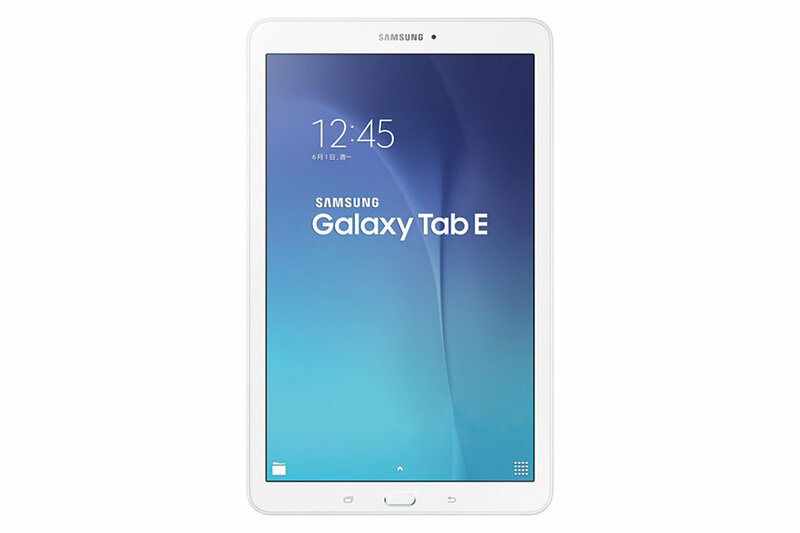 The Galaxy Tab E Nook is the third device to spring from the partnership between Samsung and book retailer Barnes & Noble. 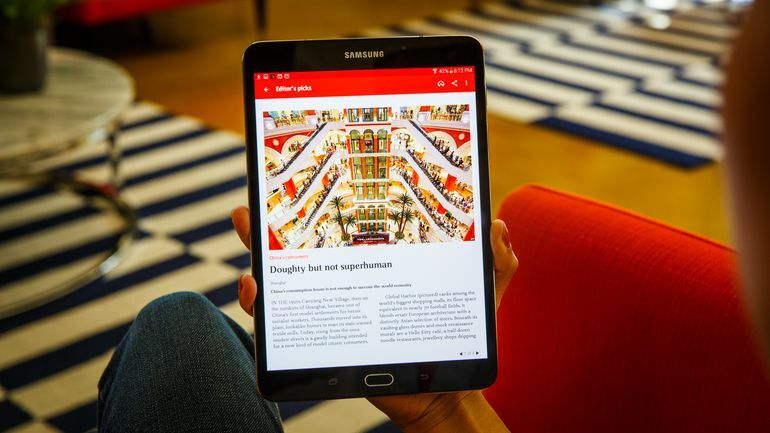 The deal, stuck in June 2014, effectively ended Barnes & Noble's hardware ambitions, with the company leaving others to build Nook-branded devices. 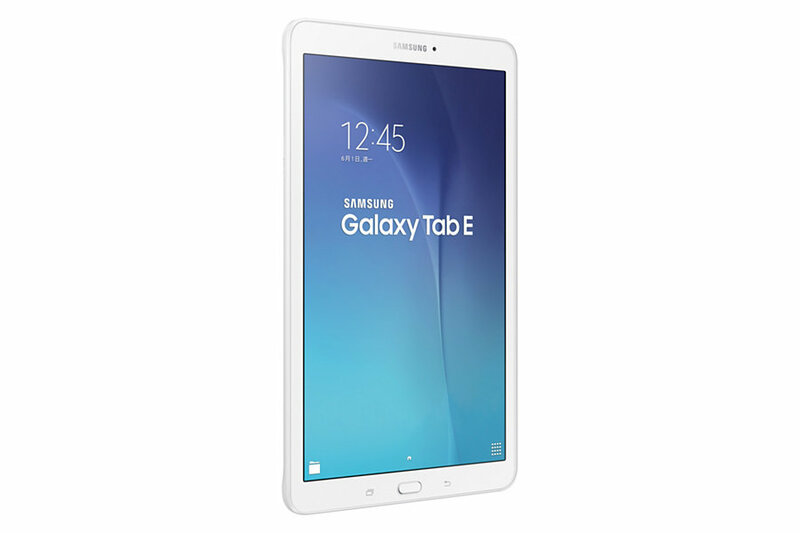 The Galaxy Tab E Nook follows its predecessors with a larger display and a lower price. 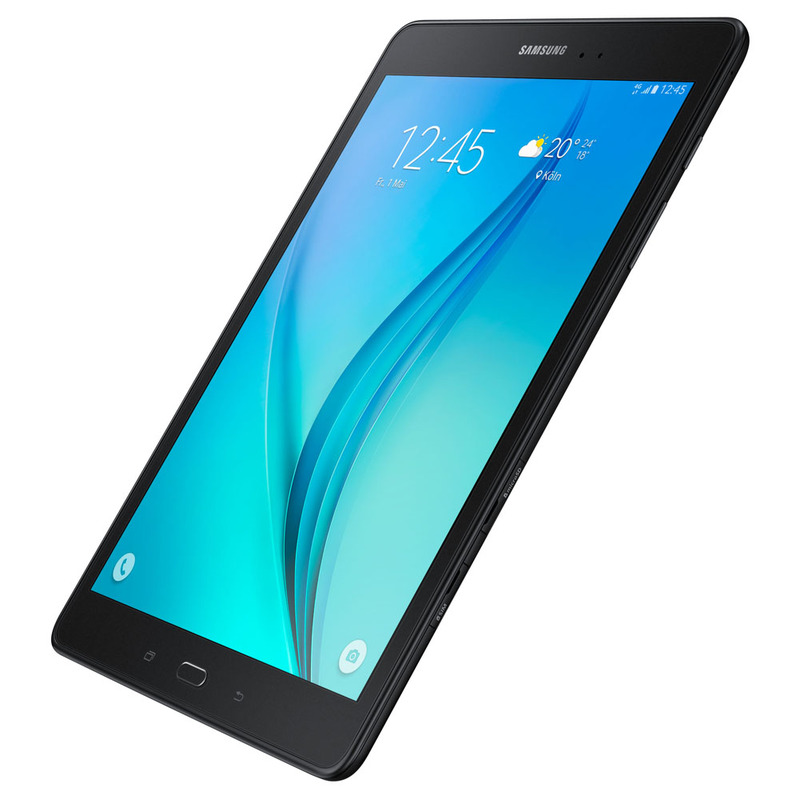 Samsung rolled out the firmware update for SM-T560NU, and the latest firmware version is T560NUUEU1AOK1. 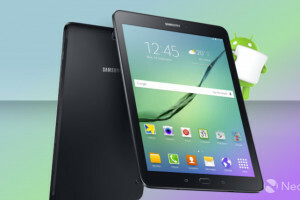 Samsung Galaxy Tab S 8.4 chinese version is getting the Android 5.0.2 update. See deatils below. 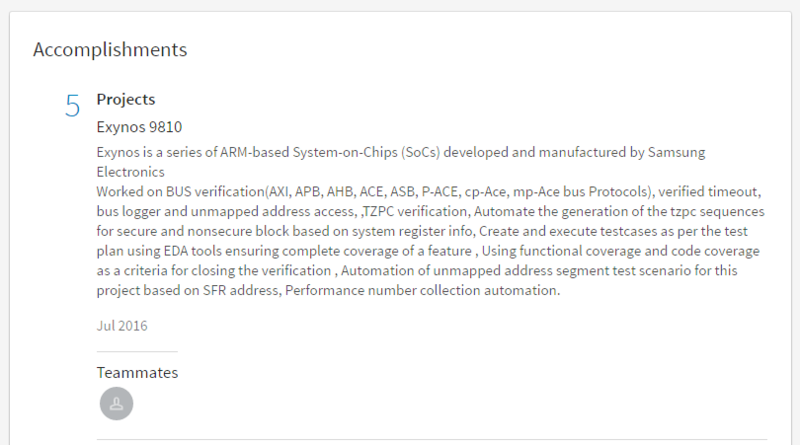 Samsung rolled out the firmware update for SM-T705C, and the latest firmware version is T705CZCU1BOJ4 . 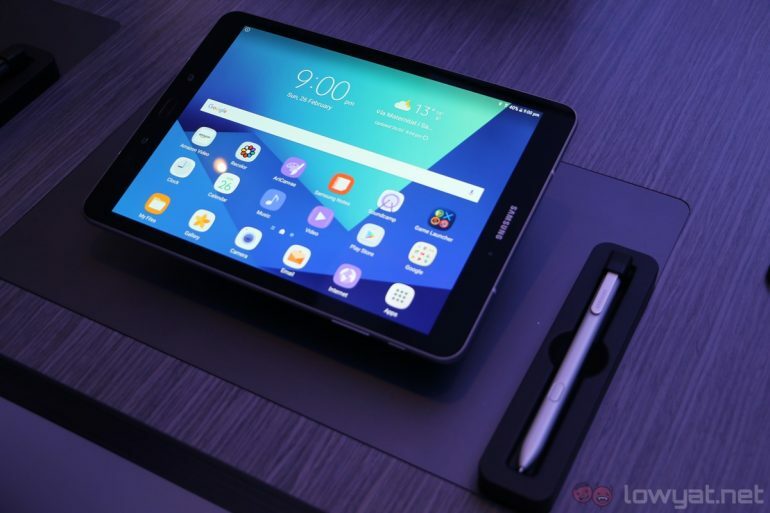 Google Now on Tap, Doze and customizable app permissions will all be available on the Galaxy Tab A soon as Samsung finally begins to roll out the much awaited Android M 6.0.1 update to the tablet. Reports from Australia earlier informed the world of this news, but we are not yet sure which other regions have started to receive the upgrade at this time. 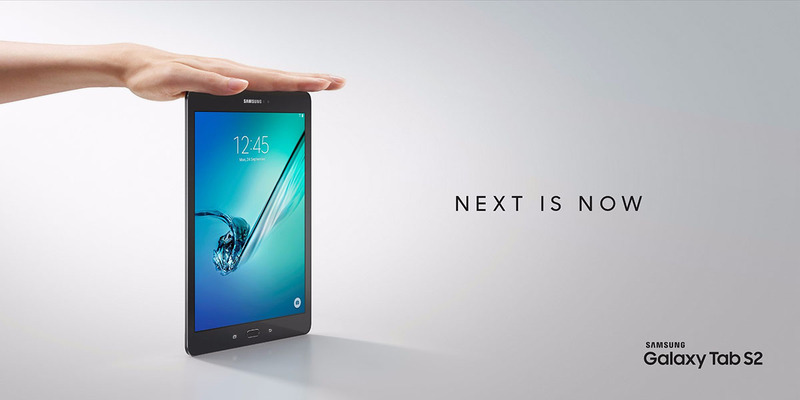 Nonetheless, we are pretty sure that wherever you are, if you own a Galaxy Tab A, you will get the update, sooner or later. 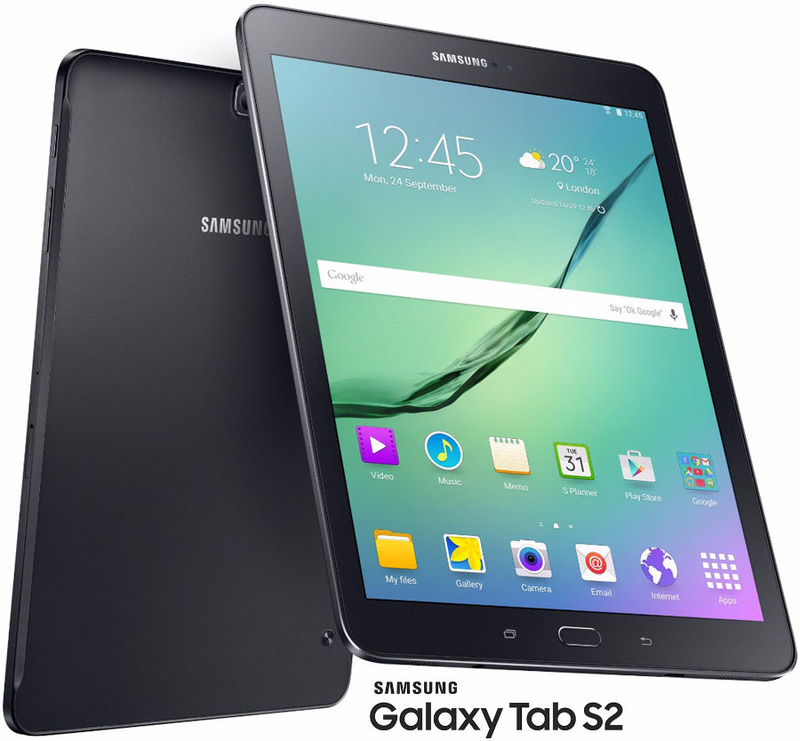 As always, it is advised that you fire up your Wi-Fi to download the huge 1.1GB package and make sure that you have enough battery before you try and install it on your Galaxy Tab A. Post the update, you should be able to see a brand new app drawer interface and your overall experience should be much smoother. Be sure to check for the update from Settings > About device > Software Update. If you have not been notified about the update by your phone or you cannot find it even after checking manually, do not worry, the update has not yet arrived on your tablet yet. 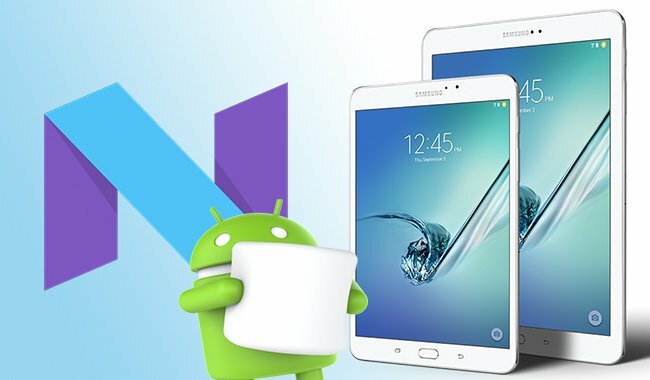 While it isn't surprising to know that an upgrade to Android Nougat is being prepared for the Galaxy Note 5 as Samsung did mention that they were going to do so earlier, it's good to know that they have included the Galaxy Tab S2 in their Nougat update list as well. Reports from reliable sources are indicating that a firmware based on Android N is being prepared for the both the devices right now. Unfortunately, no one can confirm when the firmware will be ready for OTA rollouts. If we were to guess, we would say that it won't be until we are well into 2017. In the meanwhile, Samsung is already testing out the beta versions of its Android 7.0 based firmware on a limited number of Galaxy S7 and S7 Edge smartphones. In fact, those that have been selected for the Galaxy Beta Program have already started to receive the second build of the firmware via a second OTA update as you read this. For a complete review of the current Nougat 7.0 UX running on the S7/S7 Edge, check out this awesome video by XEETECHCARE. 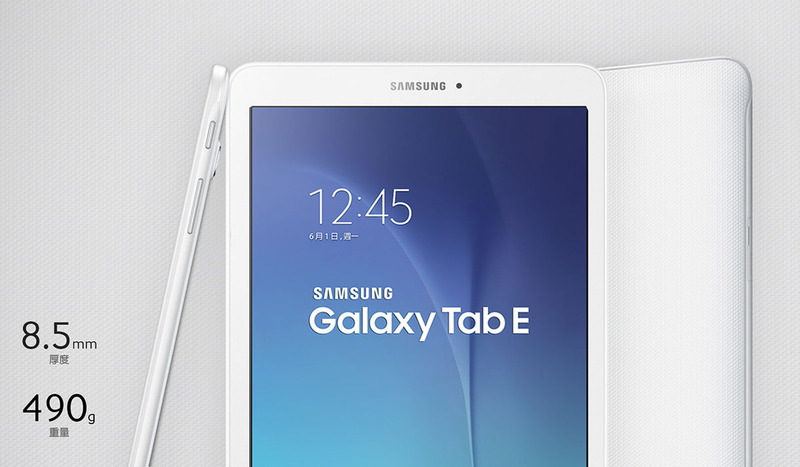 As we reported before, Samsung will update the Galaxy Tab S series. 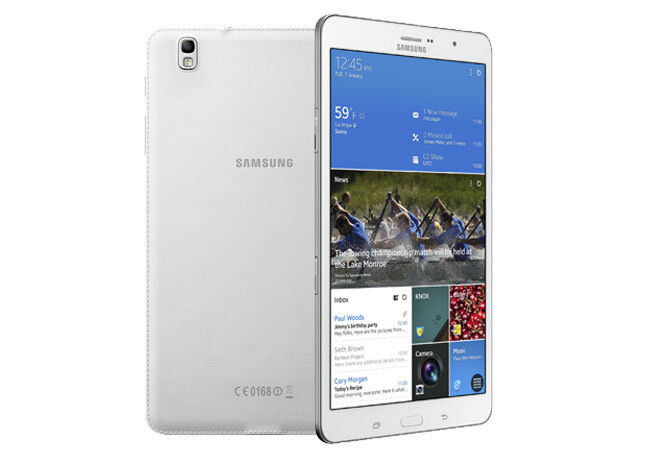 Today, Samsung has started Rolling-out the official Android 5.0.2 Lollipop Update for its Galaxy Tab S 10.5 Wi-Fi (SM-T800). The Update is currently available Over-the-air (OTA) and via KIES in France. 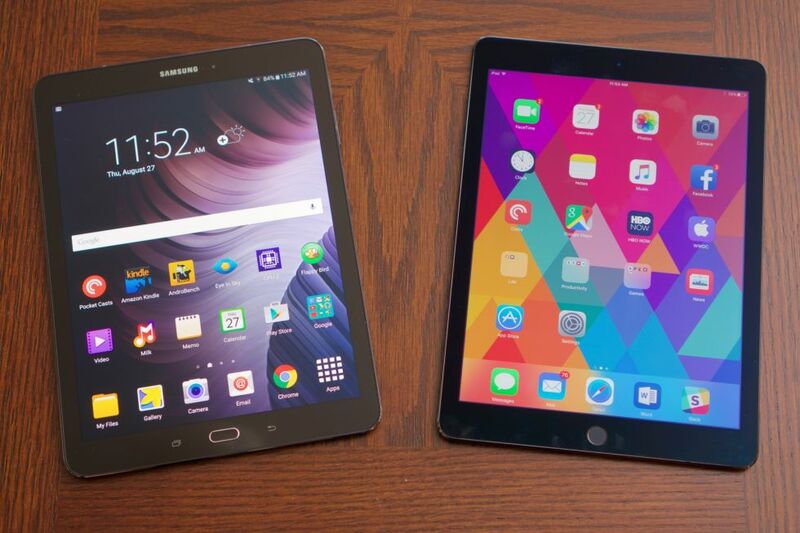 Other Galaxy Tab S variants will get the same update very soon. 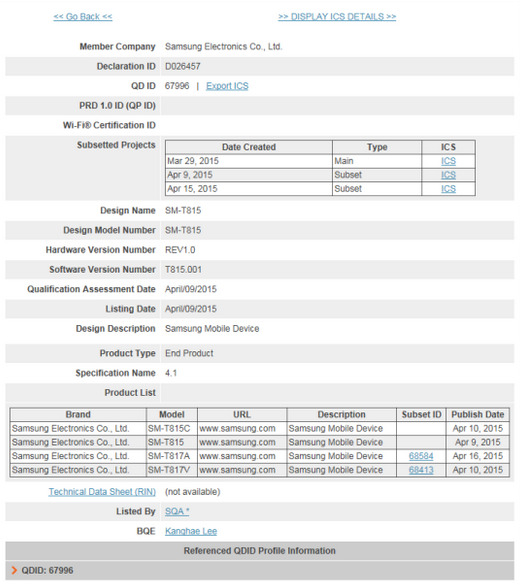 The firmware update brings latest Android build 5.0.2 and build number [T800XXU1BOCC] with a build date [17,March 2015] which indicates a very fresh build. 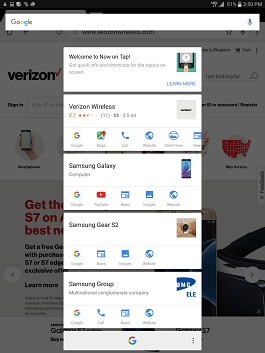 The Update also brings lots of performance enhancements, security fixes, bug fixes, New screen-lock, New notifications bar, updated TouchWiz UX with Material Design optimized for tablets. 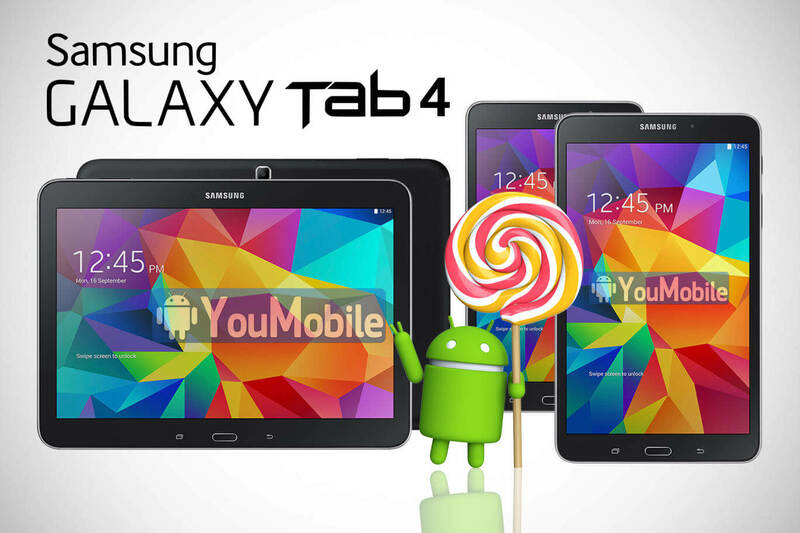 Samsung's latest Galaxy Tab A 9.7 Android 5.0.2 Lollipop Firmwares are now Available for download on our YouFirmware section. 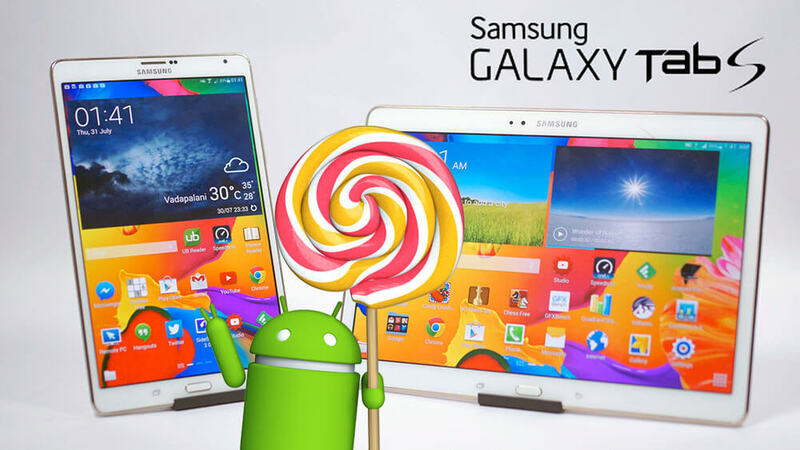 The Galaxy Tab A series is the first tablets to launch with Android Lollipop pre-installed on all its variants. 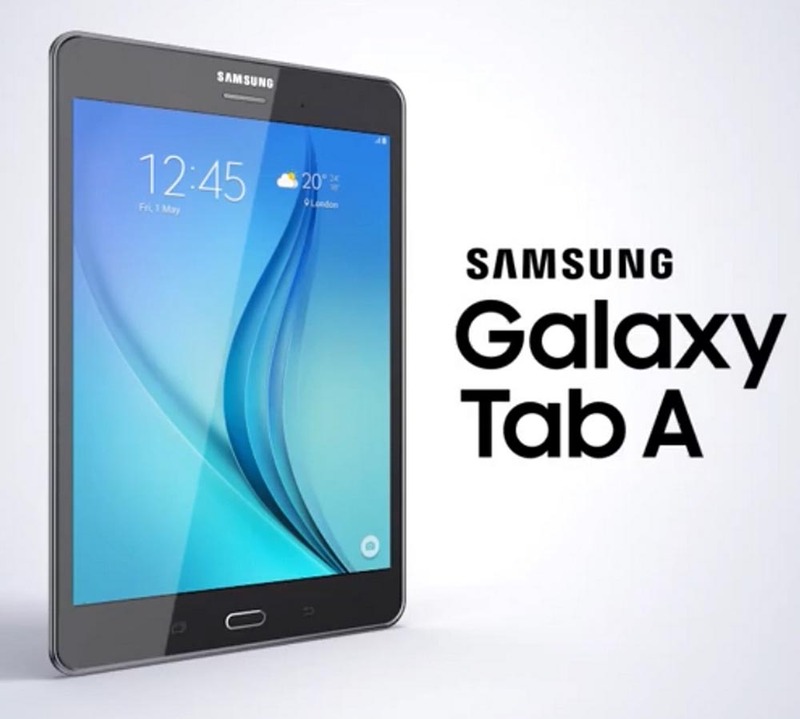 The Tab A launched in 4 variants 9.7" (Wi-Fi), 9.7" (LTE), 8.0" (Wi-Fi) and 8.0" (LTE). Currently Only the 9.7 variants firmwares are available, other Tab A 8.0 firmwares are coming very soon. 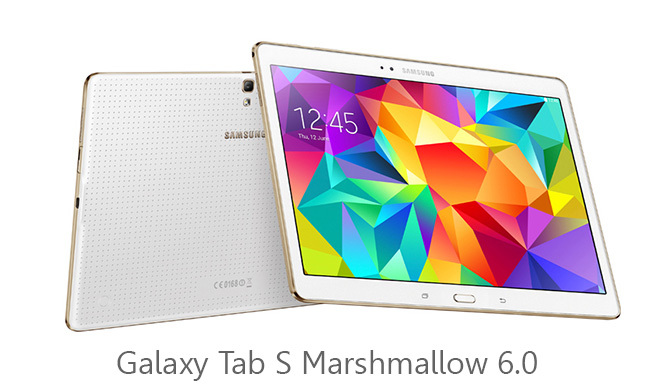 Also Galaxy Tab S 8.4 Firmwares will be added to YouFirmware very soon too. Stay tuned! 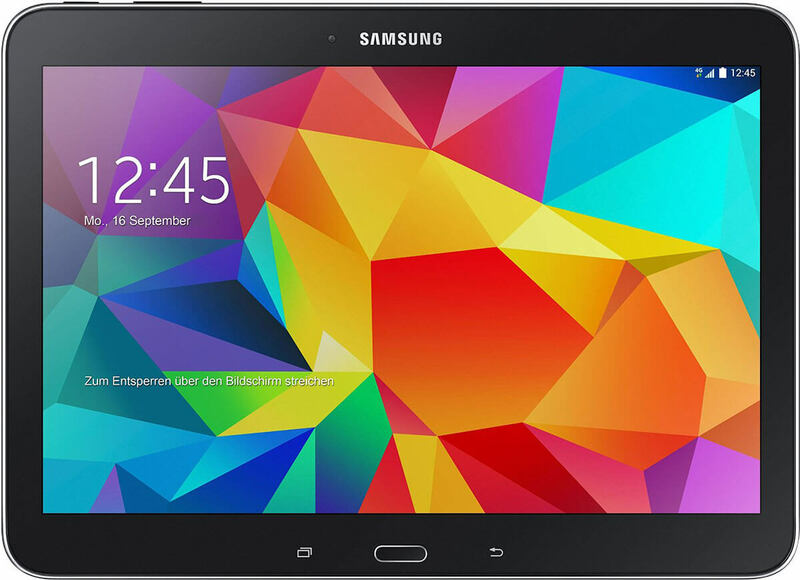 After releasing the Lollipop 5.0.2 to the Galaxy Tab S 10.5 (Wi-Fi). Today, Samsung has started Rolling-out the same Android 5.0.2 Lollipop update to the LTE-variant of the Galaxy Tab S 10.5 (SM-T805). The Update is Available Over-the-air (OTA) in Croatia, Czech Republic and some other European regions. 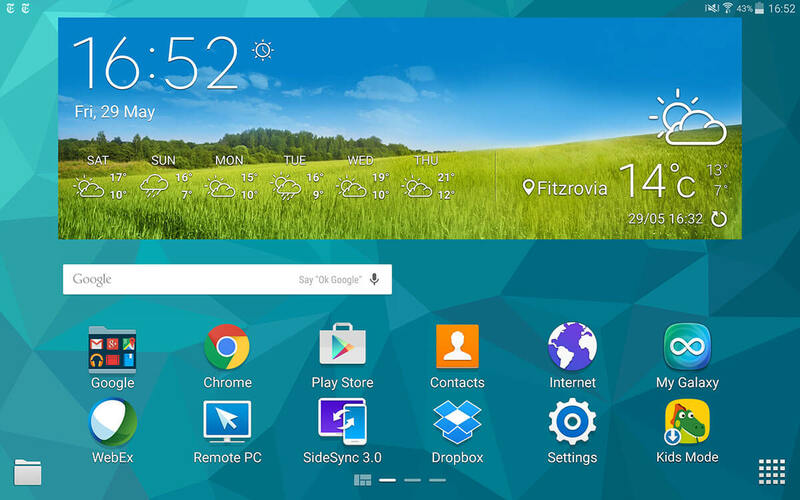 The firmware update brings latest Android build 5.0.2 and build number [T805XXU1BOCC] with a build date [17,March 2015]. The Update also brings lots of Performance enhancements, security fixes, bug fixes, New screen-lock, New notifications bar, updated TouchWiz UX with Material Design optimized for tablets and lots of new features. 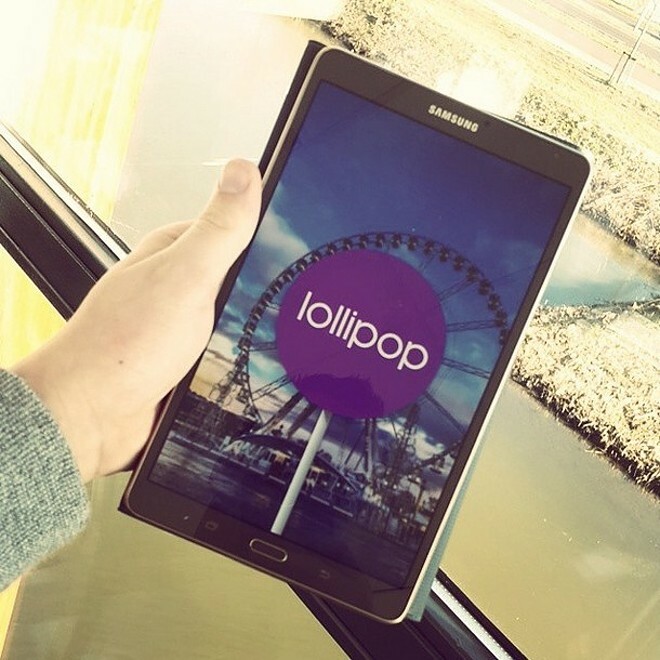 Stay Updated and Follow our Samsung Official Updates page for the latest Lollipop releases. 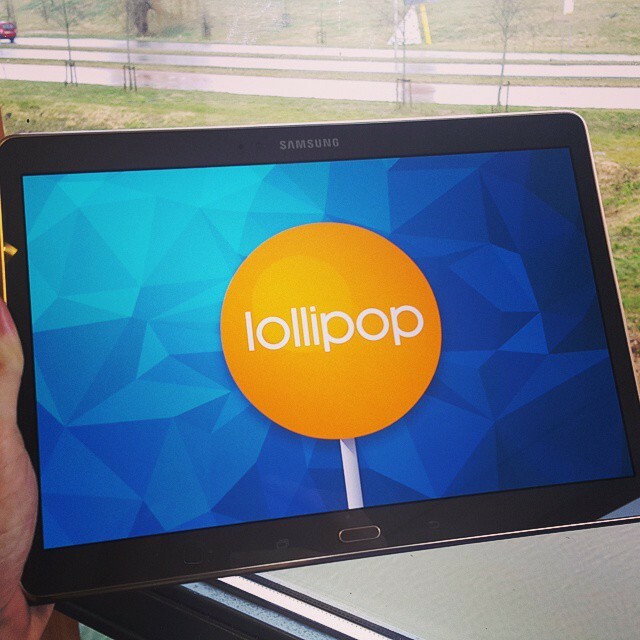 Samsung promised to update its latest Galaxy Tab S series to Android 5.0 Lollipop. 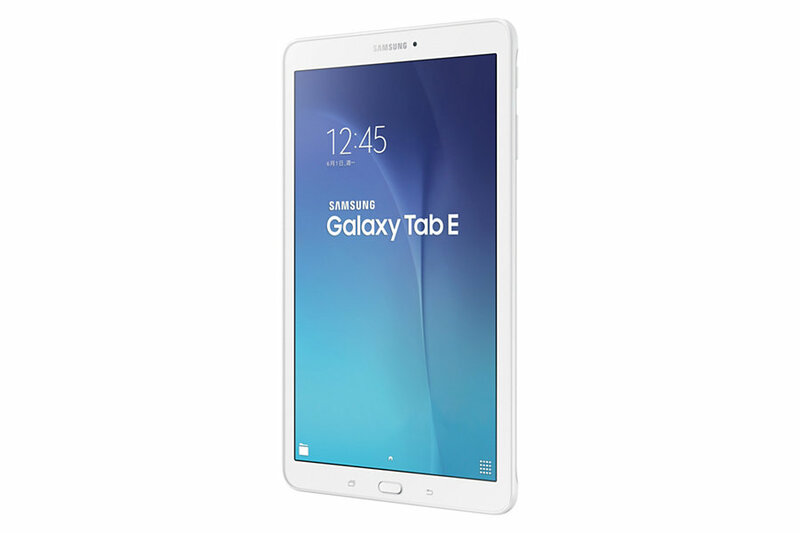 After few weeks of testing, Samsung has released the update to Galaxy Tab S 10.1 (Wi-Fi/LTE) variants to Lollipop 5.0.2 via an OTA (Over-the-air) package last month. 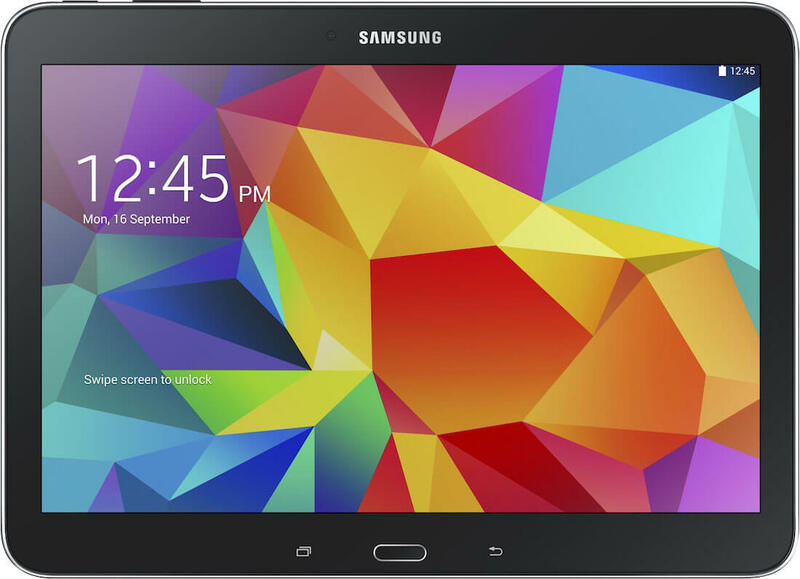 Now, we just got reports that the Galaxy Tab S 8.4 update is ready for release. 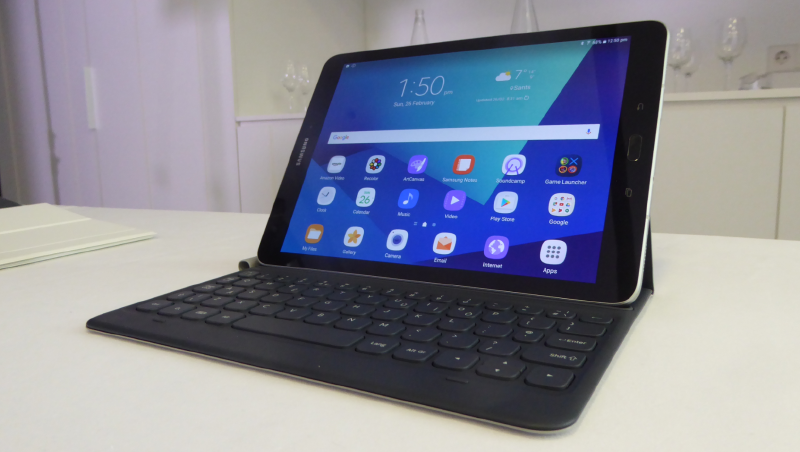 Galaxy Tab S 8.4 users should expect the official Lollipop to start rolling-out Over-the-air anytime in the next few days. The Wi-Fi variant of the Tab update should start this month, while the LTE variant will come a little later. 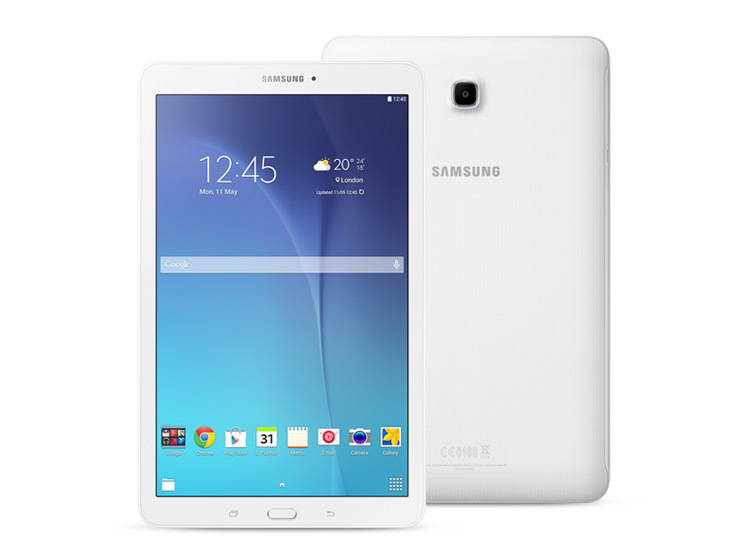 The firmware update brings latest Android build 5.0.2 to the with lots of Performance enhancements, security fixes, bug fixes, New screen-lock, New notifications bar, updated TouchWiz UX with Material Design optimized for tablets and lots of new features.